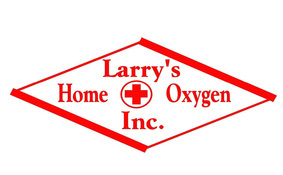 Larry's Home Oxygen, Inc. is a locally owned company. We provide Home Medical Equipment in patient's homes to keep them at home and independent. We have a large selection of products to aid a patient's recovery or daily living needs in the home. 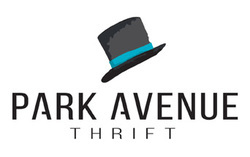 Some examples of items we carry are, CPAP, BIPAP, Lift Chairs, Walkers, Bath aids, Dressing aids, Adjustable Beds, Scooters, Power Wheelchairs and Medical Oxygen. These items all work to keep patients out of the Hospital and Nursing Homes. We have a great Staff here to assist patients with their needs please come let us help you Monday - Friday 8 am to 5 pm with Emergency Service after hours and on weekends! We provide Oxygen for in the patient's home and also to keep them mobile outside of the home so they can complete their activities of shopping, going to the Doctor, and other needed errands away from the home. We have Portable Oxygen Concentrators that aid a patient in being mobile longer. CPAP and BIPAP products to treat patients with Sleep Apnea and other Sleep problems. We have the newest and best products available for patients. We have a large selection of masks with staff to answer patient's questions for a better night's sleep. 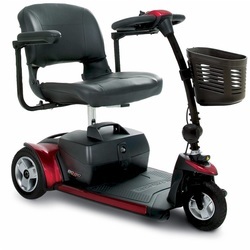 We have new and used Scooters and Power Wheelchairs available for rent and purchase along with an installation of Lifts and Ramps to get the Scooters or Power Wheelchairs wherever you need them to go. We can service and repair them also. So come in and test drive one today.